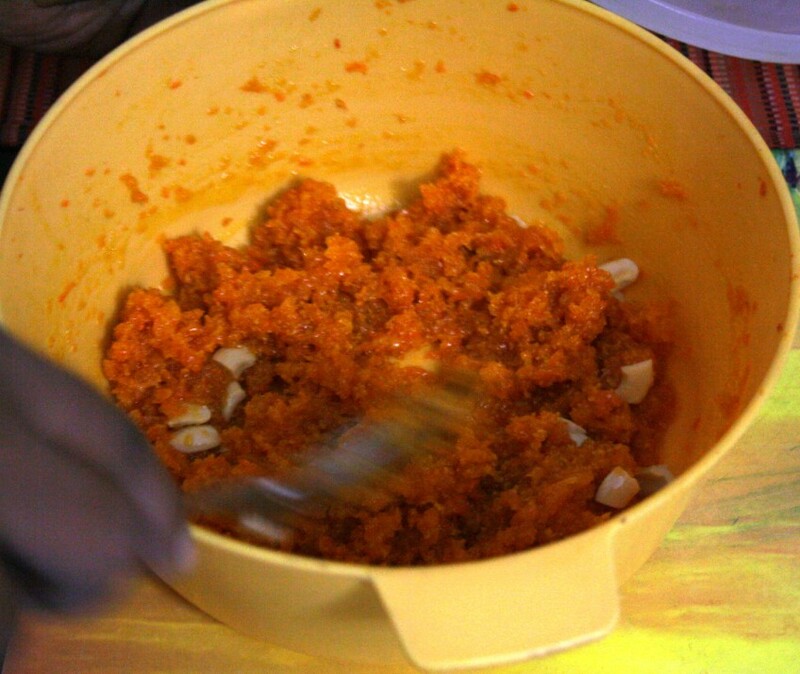 You may have already read about how I make Carrot halwa on a stove top or in a Rice cooker. 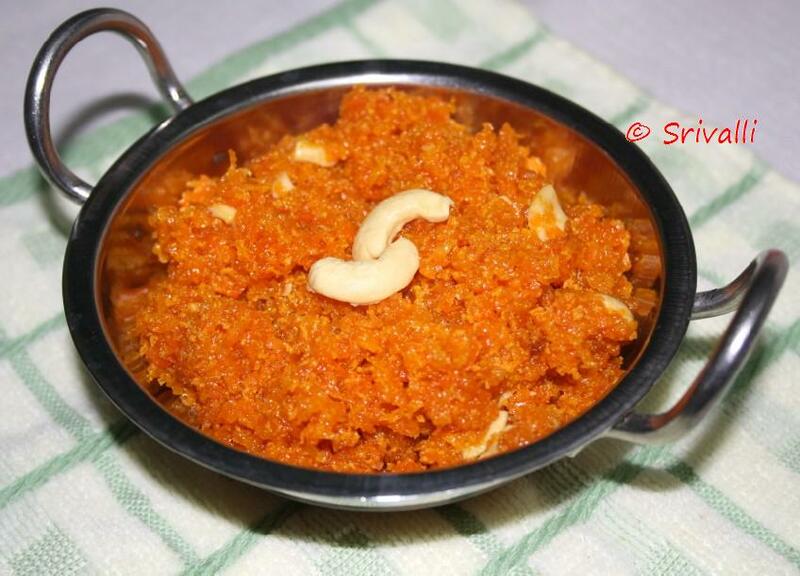 Carrot Halwa was one of the latest posts as it gets done at home quite frequently. Especially in the Rice cooker, where the taste and the texture is a class apart. I had to resort to the stove top after the rice cooker was packed and stored in the loft. To be honest, I had quite forgotten that. 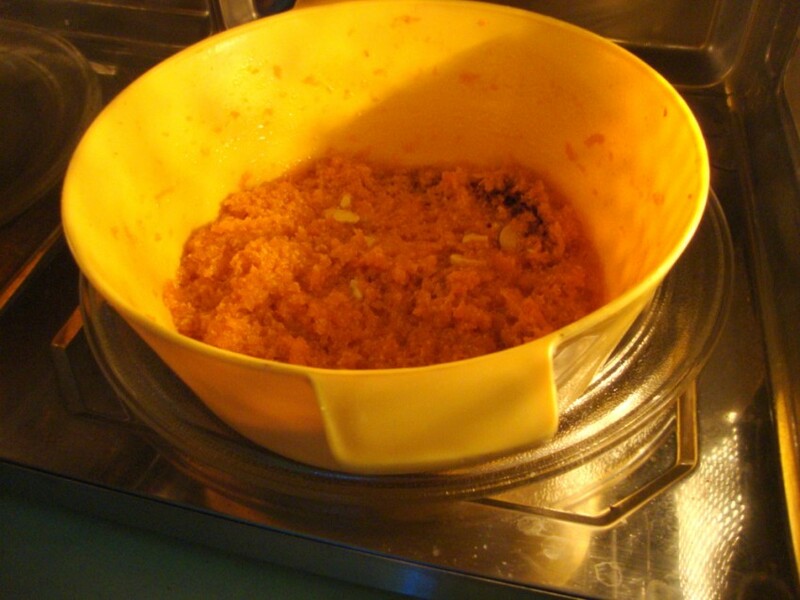 Since I promised Nive that I will send two more halwas, I decided I was going to make the Carrot Halwa again, this time in Microwave. Then it struck me that I should not pass out the chance of an entry for Chalks and Chopsticks. It is an event conceived by Aqua and hosted by Sra this month! Reading the round ups, I end up thinking why I wasn’t even trying. This month I was determined I will get a story of something. 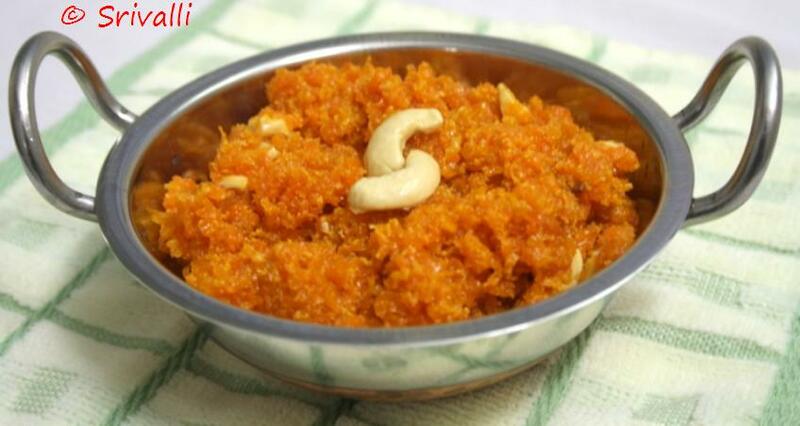 So Carrot Halwa kindled good old memory! Disclaimer: This story is purely a work of fiction, doesn’t bear resemblance to actual facts. Since I had a 4 page story written, requested Sra for an opinion. She suggested I could remove the melodrama out of it (of course not in those terms..:)) The original version can be found in my other blog. I somehow always felt pathos brings out more drama! Do read that version too and let me know which was more appealing! Please don’t skip the story for the juicy carrot halwa, but if you must, please hit the scroll down indeterminate times! With the cool breeze flowing into the car, Maya looked at her Dad telling her something. She didn’t hear him; her thoughts were on something else. Taking a deep breath, she sat back. She was so eager to start her new college and form new friendships. They were moving into a new apartment, new neighbourhood, and a colony very similar to the one they were leaving. Daddy asked her to help him pack things they can’t trust the workers with and had an early start to avoid the traffic. As the car was slowing down, Maya saw a bed of yellow flowers on the road path. Somehow those beautiful flowers on the floor were more inviting than anything else. Maya got down helping Daddy; she was all of 17, and a looker. Heads always turned when she walked past. Though with a head full of dreams and ambitions beyond her vision, she hardly ever noticed. Yet she was always piqued that she never had steady girl friends. While boys flocked to her sides, girls kept their distance. And because she was such a tomboy, boys ended up being her best friends. Days passed into months, they slowly settled in the new place. Maya was enjoying her college and her friends. Best of all, Maya was enjoying the wonders of Mills & Boons. She was so engrossed in that world, every corner turned Maya used to think a TDH hero would come pouncing forward. Her new friends played tennis and convinced her to join them. One fine evening when she walked into the court, she felt conspicuous of many eyes eying her in varying expressions. The game wasn’t new to her, but she felt very out of place. When the game began, her eyes were drawn to the opponent who was smashing every other shot at her. End of the game she was fuming and determined to get the better of him. Introduced or not, she wasn’t bothered. She wanted to give him a piece of her mind; little did she know she would barter her heart too. Being a tomboy, she never cared a dime on what a guy thinks. But at that moment, she was speechless. She wondered if she was day dreaming, and was literally gaping at the person from books in front of her, who was actually grinning at her. She was finally introduced to Dev, the chocolate boy of the gang. Maya didn’t remember anything beyond that. But come rain or cyclone, Maya was seen on the court very promptly. This was really funny because, for all she existed she was invisible to Dev. Just as she was clueless on why she had so many admirers, she was clueless as to why he never bothered to look. Maya was determined to change the situation. At the yearly Tennis club cultural event, it was decided to have a potluck dinner. Each player was asked to bring along something. They had fun deciding the menu, when it came to the desserts, one wanted Ice creams, and some said payasam was easy, while somebody was insisting on Carrot Halwa. Most agreed making Carrot Halwa for huge crowd was tough. Maya was surprised to see Dev cheering so much for Carrot Halwa. He said special occasion called for special dishes and even offered to help grate the lot if the need be. Maya was surprised to find her offering to make it. Was it a disdain that she saw in Dev’s expression? She really didn’t care any longer. 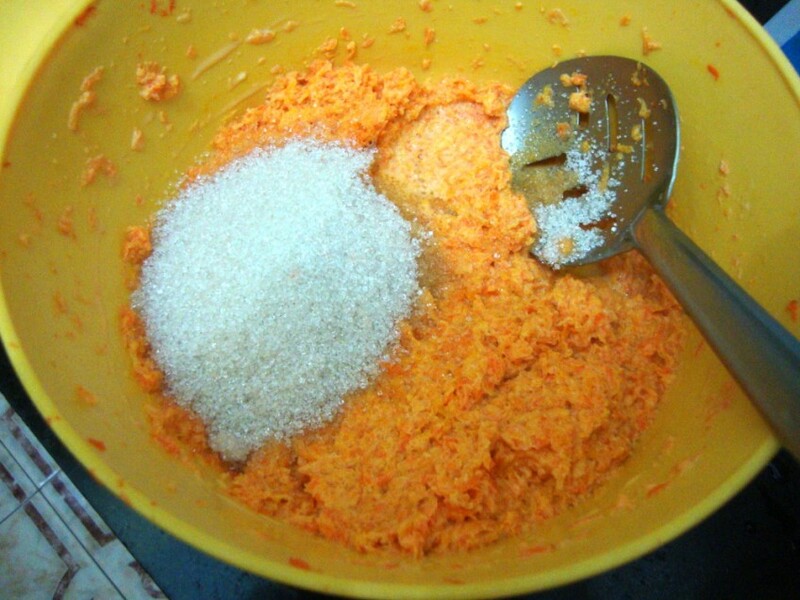 She was determined she was going to make Carrot halwa no matter what the end result was going to be. Then the reality sank in. How was she going to tell Mom that she offered to make Carrot Halwa? 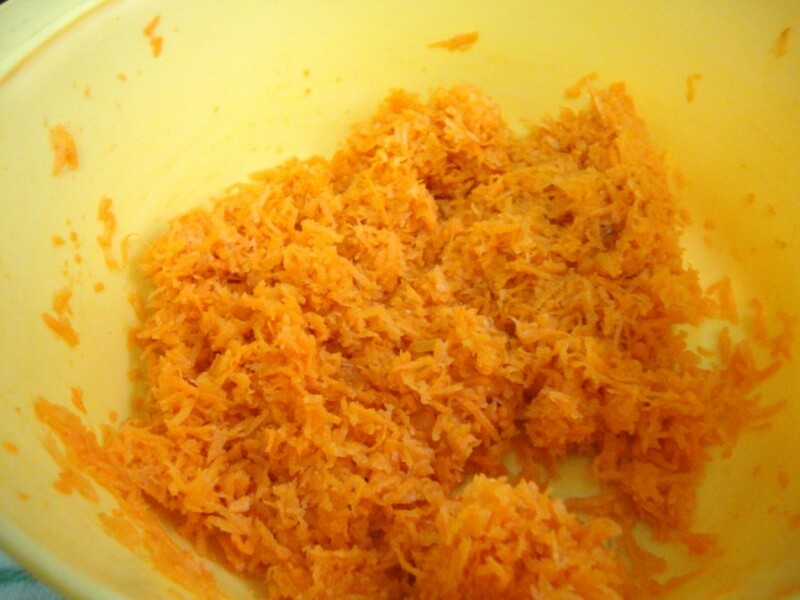 Grate about 7 – 8 kilos of Carrot? Trying to impress somebody is good, but being stupid is not one of it. With the trepidation setting in, Maya walked back home. But Mom was all excited about Carrot Halwa. On the D day, Maya went shopping with Mom to buy the carrots. Mom makes Carrot Halwa often, but this is the first time Maya ever give it a thought. She was so engrossed in grating that she gave a start on hearing the door bell. With bits of carrots all over her, she jumped out to open the door, only to get the shock of her life. Standing on the door step was Dev along with few friends. They came to help grate the carrots, and even got the graters! Mom was really impressed with her friends. Events blurred in her memory, finally it was time for Dev and the rest to leave. They left saying they look forward to eating the Halwa for dinner. Maya helped Mom in making the halwa, most of the time standing next to the stove, making sure the milk wont’ spill over. 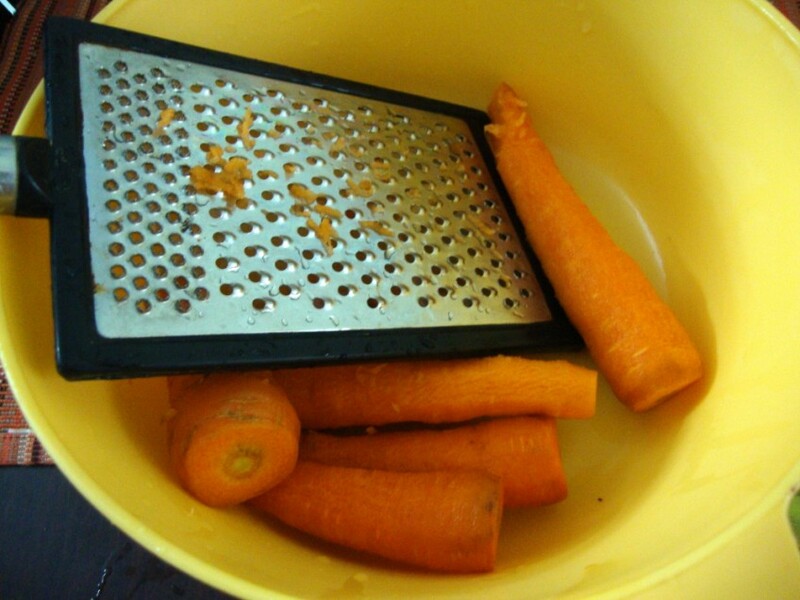 If grating was a tough nut, getting that carrot cooked in milk was tougher. But she knew the result was a sweetest of all! Finally with the halwa all packed in a container, Maya got dressed for the party. It was a gala evening with lot of fun events. But Maya was in a trance. When it was time for dinner, Maya had butterflies. She didn’t know what was going to happen, but knew something will. It was a fun evening, with the excellent food and company. When somebody asked Dev why wasn’t eating much, Maya was worried about what was wrong with him. He replied he was saving himself for the dessert! When they moved on to the desserts, she saw Dev filling his plate with big scoops of Carrot Halwa. A friend next to him asked how without tasting he was helping himself to double dose. Dev turned to say “When it was made with so much love, it is bound to be delicious” with that he looked at Maya with a twinkle in his eyes. Even though grating the carrots are still a laborious process, cooking this in microwave made this dish a breeze! Wash and grate the outer skin. Then grate the carrots after trimming the ends. 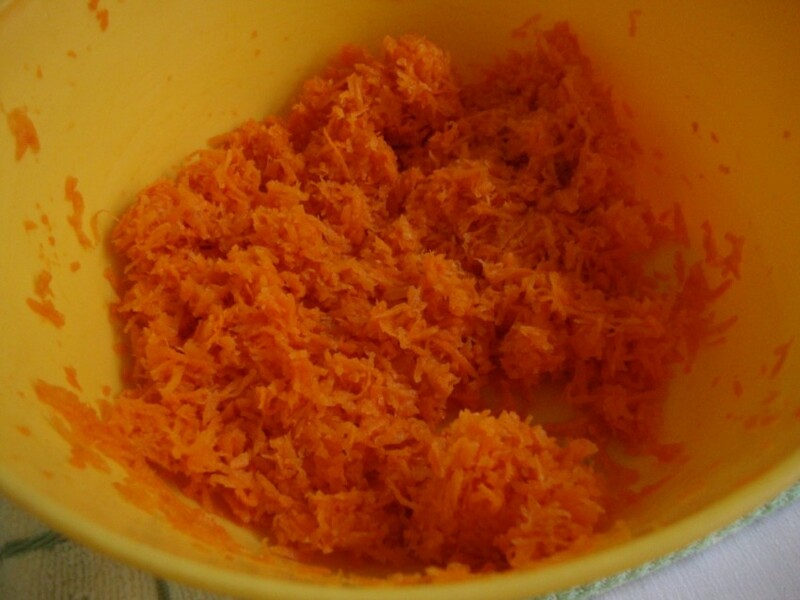 Take the grated carrot in a microwave safe bowl. Micro 1 cup of milk for 2 mins. 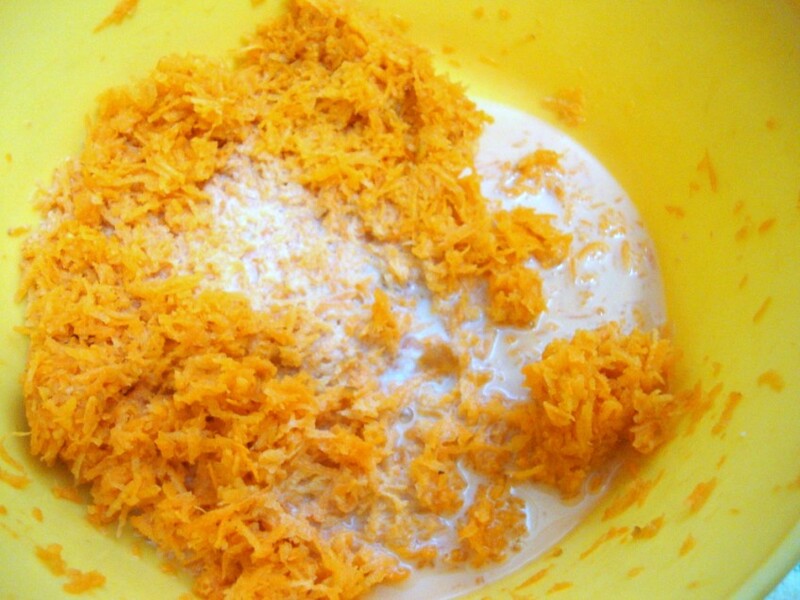 Pour the hot milk on the grated carrot, cover it with a lid and allow it to rest for 5 mins. 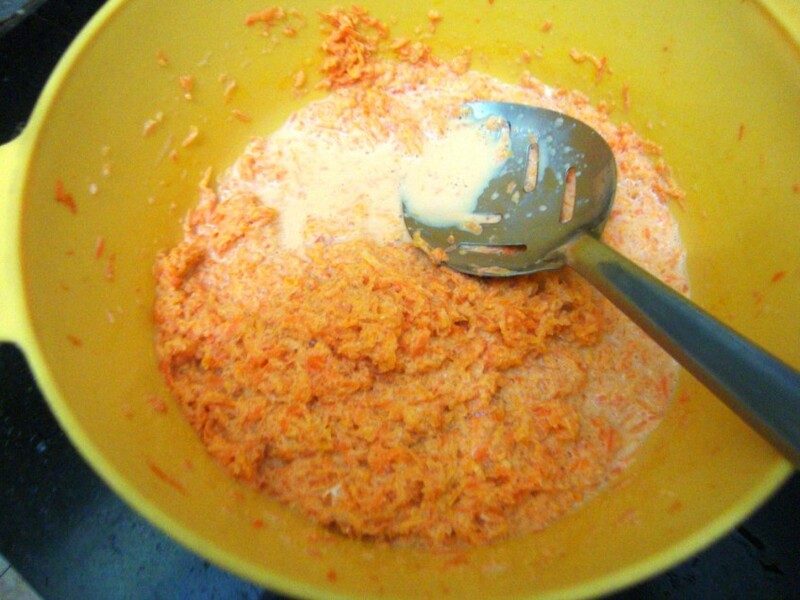 Remove the lid, using a ladle, mash and mix the carrot with the milk well. Set the timing for 20 mins and Micro the carrot again. After 7 mins, remove and add the remaining milk. Stir well and put it back. Check again after 7 mins or so, add the sugar, mash well. The sugar will get almost dissolved by the heat. Put the bowl back for the remaining time. The carrot will be done by 20 mins. If you feel you need to put it back for couple of minutes more, you can do at this stage. But see that browned patch? That was what happened, a small piece of it was burnt. But it tasted great! 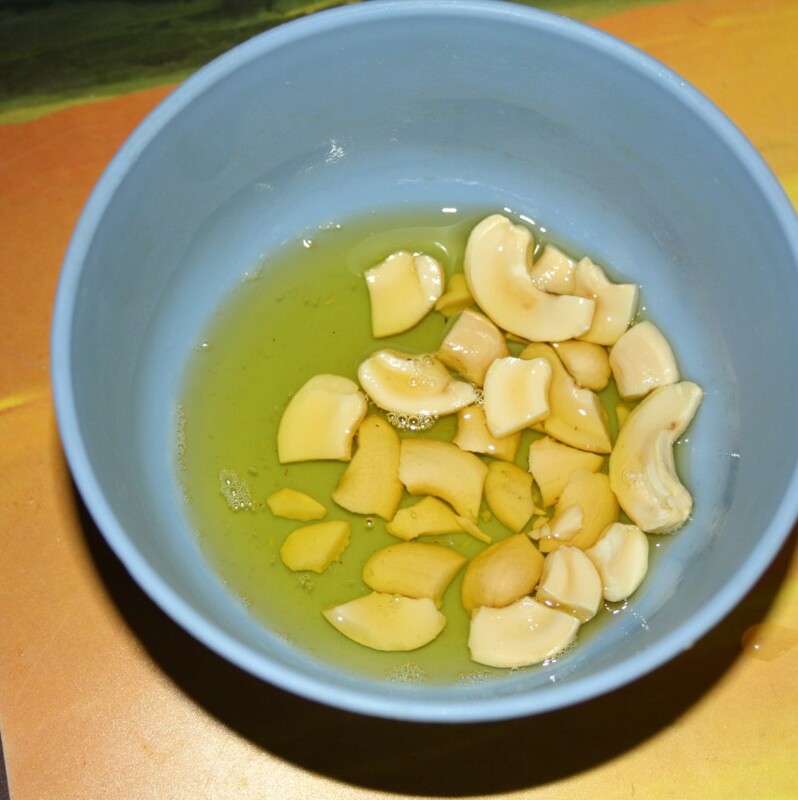 Micro ghee along with cashew for 2 mins. Cashew will turn really crisp. Pour this over the halwa and you are done. Stir the halwa with the cashew well. See the way it looks! It took me about 30 mins for the entire halwa to be made. This includes the grating part. Since I used fresh baby carrots, the job was done quickly. Though this should take about 20 – 30 mins to get fully done, make sure you check in between to prevent it from getting burnt. Wash and grate the outer skin. Then grate the carrots after trimming the ends. 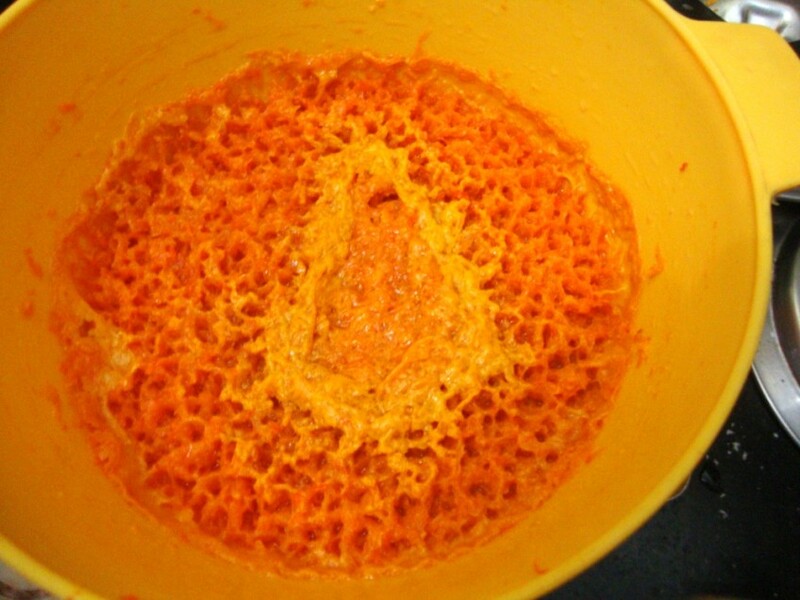 Take the grated carrot in a microwave safe bowl. Set the timing for 20 mins and Micro the carrot again. After 7 mins, remove and add the remaining milk. Stir well and put it back. Give it back for the remaining time. The carrot will be done by 20 mins. Micro ghee along with cashew for 2 mins. Cashew will turn really crisp. Pour this over the halwa and you are done. Though this should take about 20 – 30 mins to get fully done, make sure you check in between to prevent it from getting burnt. You can store this in fridge for a week. Before you eat, you warm it in Microwave and enjoy. Else you can even add more milk, micro for a min. If it gets cooked more, the halwa turns crystallized and it goes so well with Vanilla Ice-cream. This was the combination I served for my guest and I was indulging for 3 days. 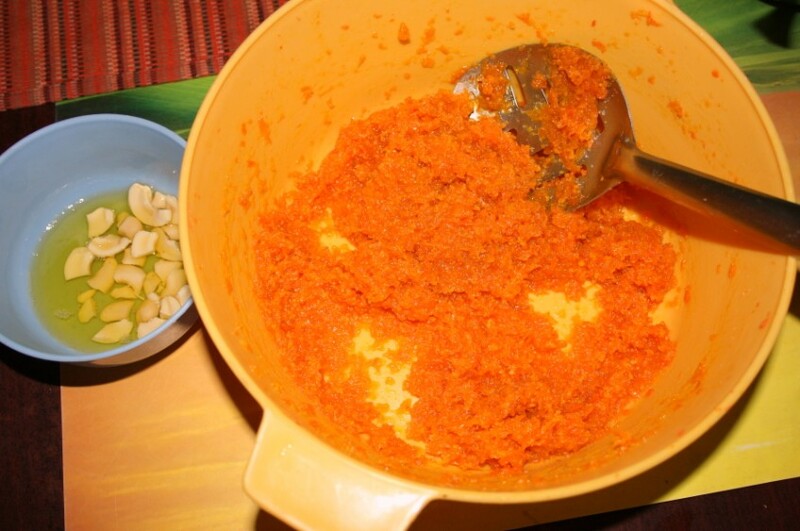 Now I remembered why I don’t make Carrot halwa! I missed taking a picture of this bright orange looking Carrot halwa with Vanilla Ice cream. Will click it again surely! Sending this to Nivedita’s Celebrate Sweets – Halwa event! To PJ who is hosting my MEC event this month themed on our Favorites! Groundnut Laddoos ~ Peanut Balls Neivedyam for Ganesh Chaturti! That was one good story!!!! 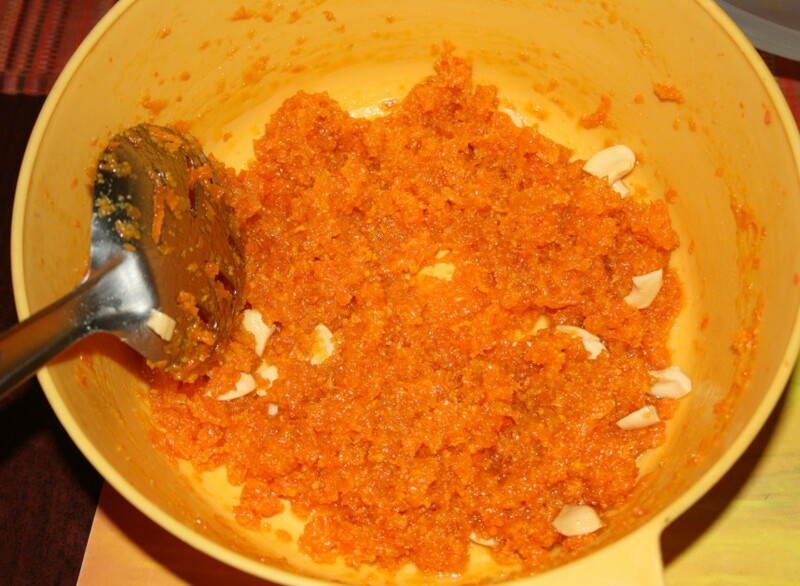 🙂 Carrot Halwa looks yummy!!! as u said cooking carrot halwa in MW is a breeze!!!! Beautiful story, my favourite halwa looks yumm.. Perfect step by step procedure… Very useful. YUM! Scrumptious! I too prefer MW to prepare halwas. Maya and Dev..nice story and loved reading through it.Except for the grating part,everything else sounds quite easy!! Thats quite interesting.. Love this easy preparatio..
Beautiful story… Love that kadai. Cooking in MW is definitely easier than stovetop. This is the best way than the stove top method,less ghee too! Carrot Halwa sounds scrumptious. We'll have give it a try. Your Gajar halws reminds me of LG Ad whr the lady says'Aaj banayenge gaajar ka wah so healthy halwa"
Hey Srivalli.. Nice story! I read both versions btw. 🙂 Both are good. I read this one first and the longer one second. I am not sure I understood what was the "hurt in the past" in the longer version. Did you clarify that somewhere? I somehow missed it. Actually I liked the drama in that version. Just wanted it to somehow tie together with Dev or the "present" somehow by the end. That would have been nice. 🙂 Anyway, thanks for the stories. Both were really good reads. Cheers! 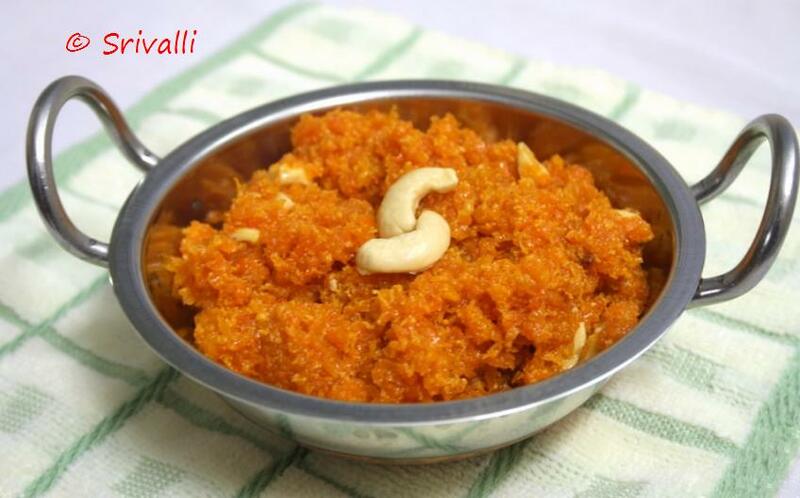 lovely dish with a yummy taste ,srivalli. 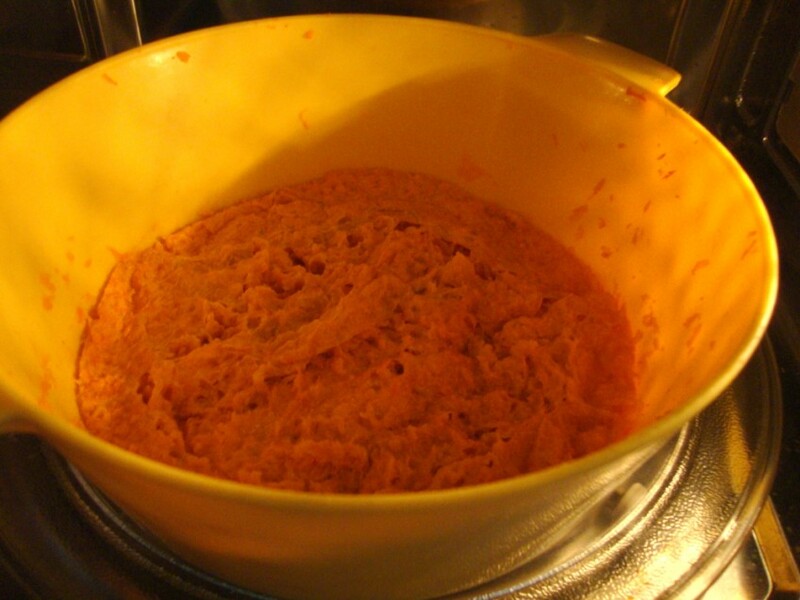 Never tried carrot halwa in microwave, really interesting recipe. I am drooling here. Loved the story, Sri! Hope to see more of them regularly. Both are very sweet gajar halwah and Maya-Dev Love story …never made gajar halvah in M/W..looks so delicious. Would love to try this in MW. Nice story to go along with the recipe. May I suggest that you edit the recipe to say "peel the skin off the carrots" instead of grating the skin off? Thank you friends for the lovely comments! am am making it today, it came out well however my MW took 40 mins to cook it completely!! Thank you for this easy method! Anon Thanks for the feedback. I am not sure why it took so long. Mine was faster. If you notice the comments by other bloggers also say that cooking it in mw is faster. Will try it again to confirm this..